Poonam and Priyanka Shah, graduates of the University of Illinois at Urbana-Champaign, both received their degrees in the College of Business. Poonam majored in finance, while Priyanka double majored in accounting and management. After leaving the Desi Dance circuit, Poonam and Priyanka have released multiple videos that have gone completely viral! With nearly 25,000 subscribers on their YouTube page, Poonam and Priyanka average more than a quarter million views per video! 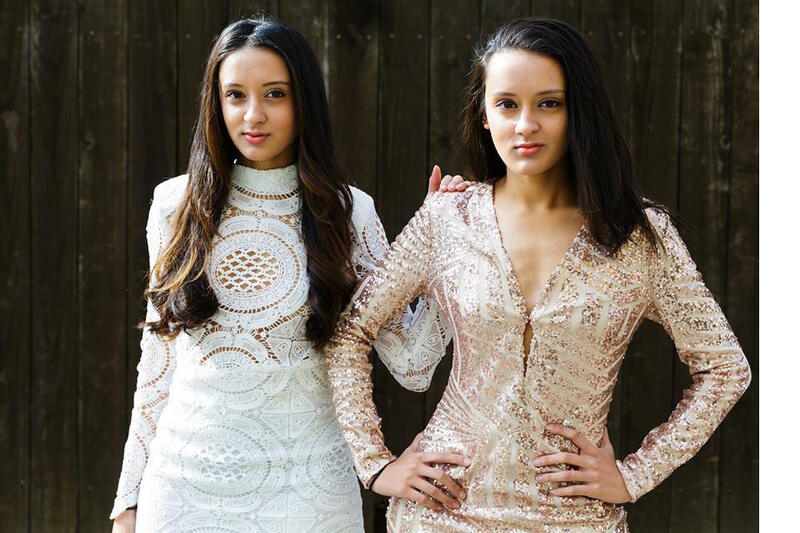 Combining Western influences with their traditional Bharatanatyam training, the Shah twins have broken barriers and paved the way for many Desi dancers. These two talented girls have taken over the dance community by storm and continue to innovate themselves in hopes of doing bigger things. Last week, Poonam and Priyanka went to India to shoot a commercial for Tanjara Business Solutions. In this video, they are performing their first viral Bharatanatyam/Popping jugalbandi-like choreography! Since you guys are twins, do people mistake you for each other a lot? How do you two differentiate from each other? Of course, all the time, but we are used it. As for differences, once you get to know us, you will notice that although we are very similar in some ways, but we have very distinct personalities. Poonam is more reserved and laid-back, while Priyanka is more outspoken and persistent. Poonam's style is more feminine and girly and Priyanka's is more fierce and functional. Things like that, you will definitely notice with meeting us once! When did you two start dancing? How did you get involved with dance? We started dancing when we were nine. Our mom made us take Bharatanatyam lessons and we learned for about 8-9 years, until we left for college. Actually, We did not even like it at first. Our mom had to bribe us with donuts to go to class! Through the years, however, it definitely became a beautiful way for us to experience our culture and we are so glad we were able to immerse ourselves in it. We have only been formally trained in Bharatnatyam. However, we are currently trying to learn hip-hop, in Los Angeles, from the choreographers and dancers we look up to. We have been here for a couple of months and we absolutely love it. There is nothing quite like the positive energy and talent here. Which team(s) were you a part of, if any, and what positions did you hold? We were on UIUC Fizaa for three years and during our last year, we were both captains. Who are some of your favorite dancers and artists? Why? There are so many that it is hard to pick just a few. If you look at our Youtube subscriptions, you will see! We mainly follow hip-hop dancers/artists in LA (surprise, surprise), and we love the fast, powerful movement, and musicality in the dance. Our favorite commercial artist by far is Beyonce. All hail the Queen. You two have been traveling to various cities for dance; What has been your favorite city so far? What city do you want to visit? The only city we have traveled to so far, for dance, is LA. Competition-wise, we have traveled quite a bit in college. We have got to say, there is something about New York City that just seems so captivating and inviting! Would love to live there as well. You both have released two videos that have both gone completely viral! What has been your reaction to all of it? Do you consider yourself famous? We do not consider ourselves "famous" at all. When our first video went viral, it was just completely surreal and bizarre to us. We literally sat in front of our computers for a whole day in disbelief and shock. We have ironically spent days recording and editing some of our videos, but this one we did in just a few hours and put up solely for more content on our channel. It was absolutely incredible that so many people loved it and reacted to it. We were in numerous publications, such as Buzzfeed, Huffington Post, Times of India, and The Hindu. One of our all-time favorite artists, Chris Brown, even shared our post! How much more surreal does it get than that? We do not feel famous, just blessed. We have heard multiple nicknames come out of your past few videos-- Shah Twins, Bharatanatyam-Popping Twins, etc. What are your favorite or least favorite nicknames? We definitely do not mind any nickname, as we have been called "the twins" our entire life. We cannot complain and we embrace any name the community wants to call us. Now that you are not dancing in the collegiate circuit, what are your goals/plans for the future? We want to expand the horizons of Bollywood dance and put our own unique twist on it. More specifically, we want to combine the elements we love about hip-hop with our Indian dance background. We are going to continue to put up content and hope that our viewers will enjoy our choreography experiments. In the future, we have some exciting projects starting to form. What is something you two completely disagree with? Regarding dance, we disagree with not using the musicality when choreographing. Musicality is really important to us and making the music come to life through dance is what we aim for. We aim to visually represent the music through our movement. Are there any exclusive secrets or comments you would like to tell DDN? We just want to say that this is the place where our fusion adventures started and we are beyond grateful and happy that we have our DDN community to keep bolstering creativity and really raising the bar for Bollywood dance. It is a wonderful community, one we are glad to be a part of. What advice do you have for new dancers? Advice for new dancers: Small things add up and progress is worth more than perfection. Love the journey. Check out this amazing choreography by Poonam and Priyanka!